The Dynavin N7-GM2007 is designed to replicate the vehicle manufacturer’s multi-media systems w/ navigation and integrate seamlessly with the vehicles electronic system. It is Plug-N-Play, and retains factory Bose amp compatibility and full function of the vehicle’s steering wheel controls, including voice dialing. System features include iGo Primo navigation with turn-by-turn instruction, iPod™/iPhone™ connectivity, Parrot™ Bluetooth hands-free calling and audio streaming (with data display), AM-FM tuner w/RDS (displays artist & song data if available), 4×50 watt amplifier, time alignment, 9-band EQ, Android phone mirroring, optional satellite tuner, optional back-up camera and much more. Every purchase comes with FREE access to our entire “Splash Screen” library, giving you unlimited access to over 600 custom start-up screens and access to our EXTENSIVE tech support section, as well as UNLIMITED free tech support by phone and email to help you with the installation! 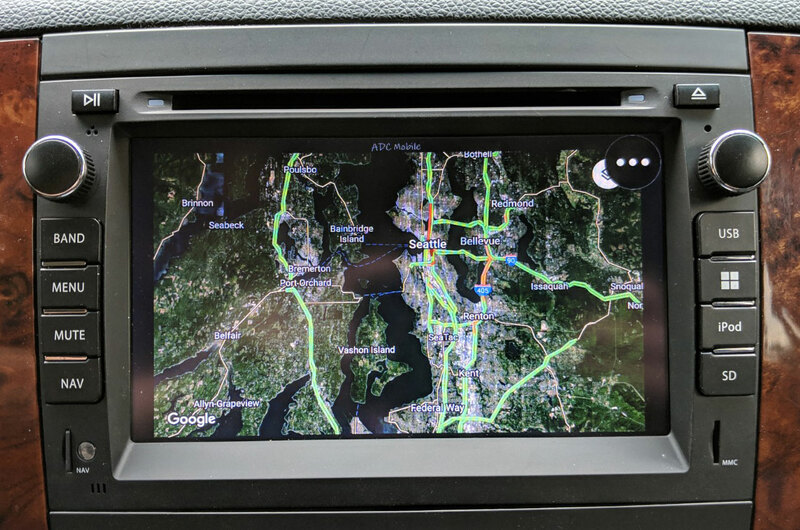 The Dynavin GM2007 is a navigation system that provides a 7″ hi-res screen with multiple class-leading features and is a plug and play replacement for GM vehicles. The GM2007 maintains factory-installed features like OnStar, Bose amp compatibility, steering wheel controls, rear parking sensors, factory rear entertainment screen (with additional adapter – not included), and rear camera (with dynamic lines and adjustable warning zones).The USB interface supports iPod/iPhone and other USB memory devices for audio and video music playback (iPod/iPhone) and music playback (USB sources). The integrated Bluetooth hands-free system by Parrot allows pairing of up to two handsets and incorporates streaming audio playback so you can use smartphone streaming audio sources like Pandora, iHeartRadio and Spotify.iGo Primo navigation is included, and low-cost map updating is accomplished online. What vehicles does the GM2007 fit? What makes the GM2007 different from other aftermarket units I could install in my vehicle? 2007-2014 GM vehicles present a challenging environment to install aftermarket navigation units into, with the requirement that any replacement aftermarket navigation system function seamlessly with the the CAN BUS network that ties all of the onboard computers together. There are thousands of lines of code governing the information being transmitted by the vehicle’s Powertrain Control Module (PCM), Electronics Control Module (ECM), Body Control Module (BCM) etc.The radio/navigation system is treated by the vehicle as another Control Module – an integral part of the LAN BUS communication system, being tasked with functioning as the amplifier for passing warnings (chimes) and other information (OnStar, factory Bluetooth) from the vehicle to the driver.In contrast to universal aftermarket navigation systems from Alpine/JVC/Kenwood/Pioneer etc., that require up to $200 worth of adapters just to function in these vehicles (see chart below), Dynavin engineers have programmed all the necessary code into the unit to allow it function in an almost identical fashion to the factory head unit, so there are no other adapters or modules required to install it. 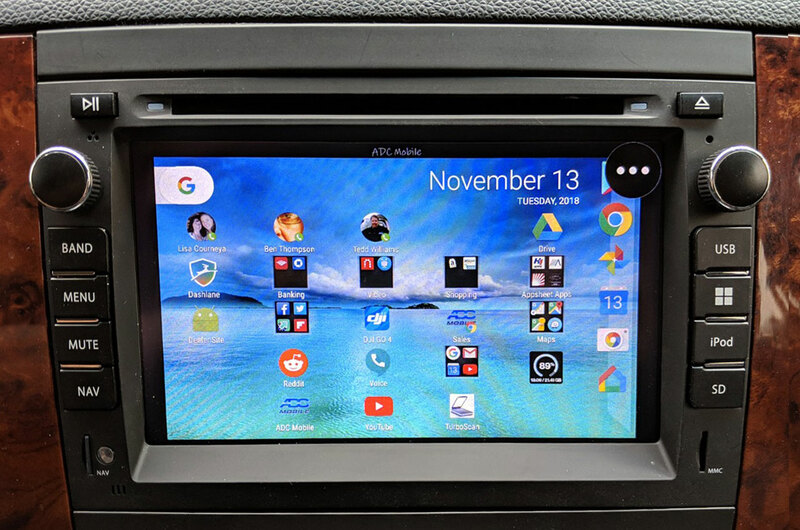 It truly is a “Plug and Play” installation, with no modifications required to the vehicle wiring whatsoever.The aftermarket navigation units also require a plastic trim kit to be able to bolt in, with varying cosmetic results, and which very obviously look aftermarket when installed. The look of the GM2007 is as close to the factory navi as is possible, considerably reducing the chance for theft, as the factory navigation systems are FAR less likely to be stolen than high-end aftermarket units. When GM changed to the new body style trucks in 2007 and incorporated the DVD-based navigation system, the factory navigation system was decent compared to the options in the aftermarket at the time, but since development in vehicle navigation and entertainment systems is measured in dog-years, by the time they were phased out in 2011 (in favor of the new HDD based GM navi that came in some 2012 GM vehicles), they had become VERY old and tired, with an embarrassing lack of features compared to aftermarket units.Although factory GM units are still available for some 2007-2011 GM vehicles, you should think VERY carefully about what features are most important for you before you decide.For instance, the factory navigation system will require you to spend over $200 on a “bypass module” in order to change your destination or allow your passenger to watch the internal DVD while driving – these features are possible with the GM2007 without any additional expense. 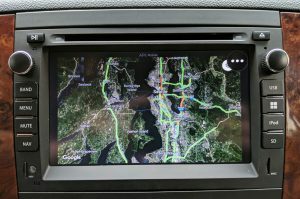 I own a 2007-11 GM vehicle with a factory navi already installed – can I remove it and install the GM2007? 2007-2011 GM trucks and SUV’s use the same radio chassis and electrical protocol as the Dynavin unit and so can be swapped fairly easily to take advantage of the additional features of the GM2007. Some vehicles with factory navigation and factory rear entertainment also have the Bose Centerpoint audio system (see above), which does not work without additional adapters – please call for additional information if you have the Centerpoint system. 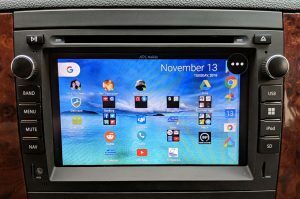 I own a 2012-13 GM vehicle with a factory navigation system – can I remove it and install the GM2007? No. 2012-2013 GM vehicles with factory navigation have a completely different set of plugs on the radio chassis. Do I lose any factory functions with the GM2007? 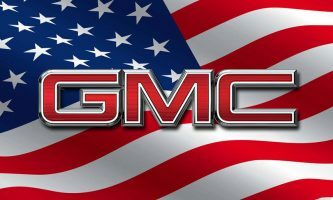 I have a GM vehicle not listed – will the GM2007 work in my vehicle? Possibly. For instance, we know that the GM2007 will work without significant issues in almost all 2007 model year vehicles, but there are a number of different scenarios that impact whether or not you’ll be able to use the GM2007 in your application, and most have to do with the CAN codes in place in your vehicle and whether Dynavin has programmed these codes into the GM2007. The list above contains the applications that Dynavin has proven to work with the the unit.If your vehicle is not listed, but has a radio that is functionally the same as the models and years listed above, then it MAY be possible to add the GM2007 to a vehicle that it’s not currently certified for. In these applications there is no guarantee that any particular vehicle or radio function will work. What is the boot up time on the GM2007? There “may” be no lights on, low fuel or door lock warning chimes. Other chimes and warnings should be present and play through the factory speakers. Does the GM2007 work with the factory Retained Accessory Power (RAP)? Yes, just like the factory head unit, the GM2007 will stay on for up to 20 minutes after the key is shut off and the door is not opened. 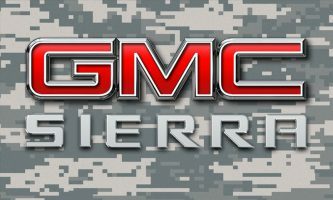 I have the base radio in my truck – can I replace it with the GM2007? Yes. The GM2007 comes set up to plug and play into the base GM (non-Bose) audio system. 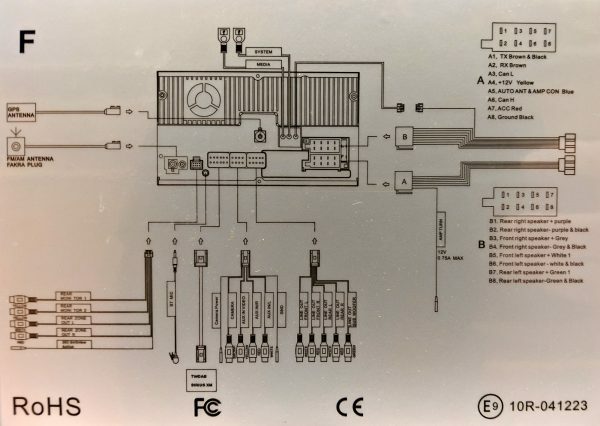 I have the Bose audio system – do I need any special adapters to make the GM2007 work in my vehicle or modify the dash to install the unit? The GM2007 has a menu item that reduces output for use with the factory Bose amplifier.Some Bose-equipped vehicles may require slight modification to the dash substructure in order to fit the radio. Do I need any other additional cost adapters or cables to install the GM2007? 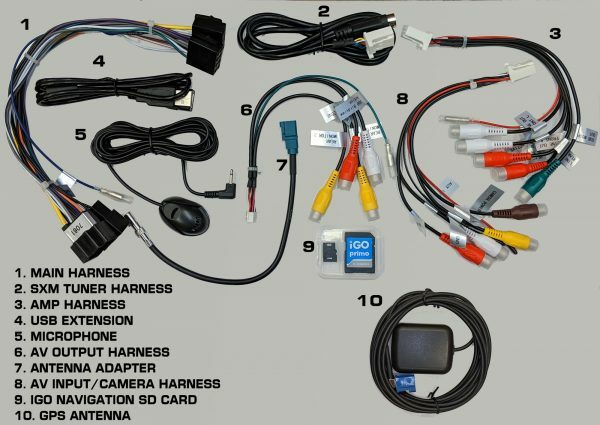 All cables and adapters are included with the GM2007 to allow installation in all 2009-down non-Bose vehicles in the application chart: power/speaker harnesses, aftermarket A/V output and input harnesses, camera input harness, antenna adapter and GPS antenna.All 2010+ vehicles with factory USB ports will require an adapter (not included) to make the factory port operational, or since the unit comes with 2 USB ports, you can also run a USB extension or simply add your phone’s charging cable to the spare USB port.If you wanted to maintain satellite radio, the GM2007 will require the use of the SXV-300 satellite tuner (not included), and adapters to use the factory XM antenna are available.If you have the factory rear entertainment screen, an adapter for the factory harness will be required (not included). I have a GM vehicle with a Bose Centerpoint audio system – will the GM2007 work in my vehicle? No. The GM2007 cannot turn on the factory Centerpoint amplifier. Please call for additional information. 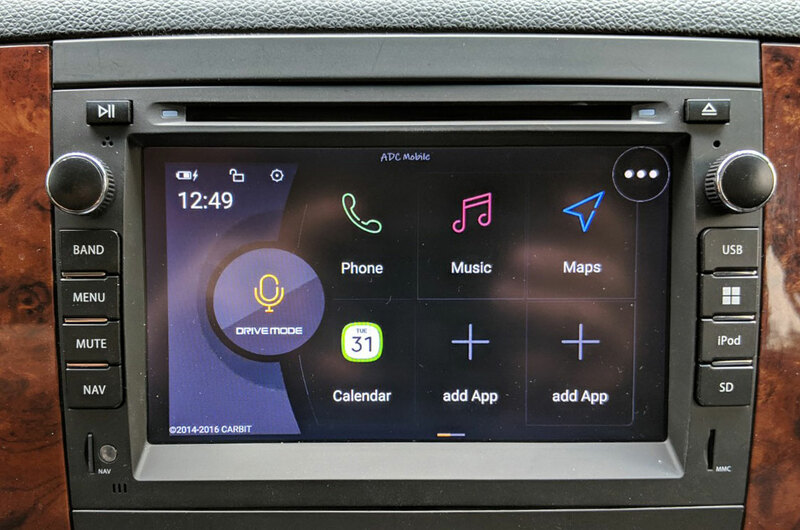 The easiest way to tell if a vehicle has the Bose Centerpoint system is to look for the presence of a center speaker, the “DTS” logo on the face of the factory radio, or the code “UQA” on the silver options tag inside the glovebox. I own a GMC Acadia with red backlighting on the factory radio – will the GM2007 match this red backlighting? The GM2007 matches the factory GM green backlighting only. It does not have the ability to change colors on the backlighting to match the Acadia. My vehicle came with the factory camera display in the mirror – can I use it with the GM2007? Yes. 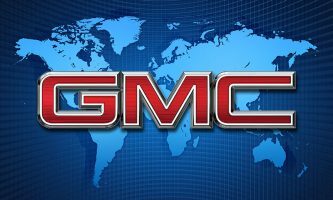 The GM2007 has a backup camera input included that will accept any standard backup camera, including the factory camera that displays in the rear view mirror (if equipped). Additional cabling is required to incorporate the factory camera into the GM2007. However, the factory GM camera in the Silverado/Sierra is generally far lower in quality than the aftermarket camera kit we sell. Will the factory camera display in the mirror still function when the camera is wired to the GM2007? Yes. The cabling required to route the camera to the GM2007 does not interfere with the factory display, thus allowing both the mirror and the GM2007 to display the factory camera’s picture. Our CS-GMTRB camera system allows a far better than factory camera to be installed in the factory GM bezel for an exact factory look. 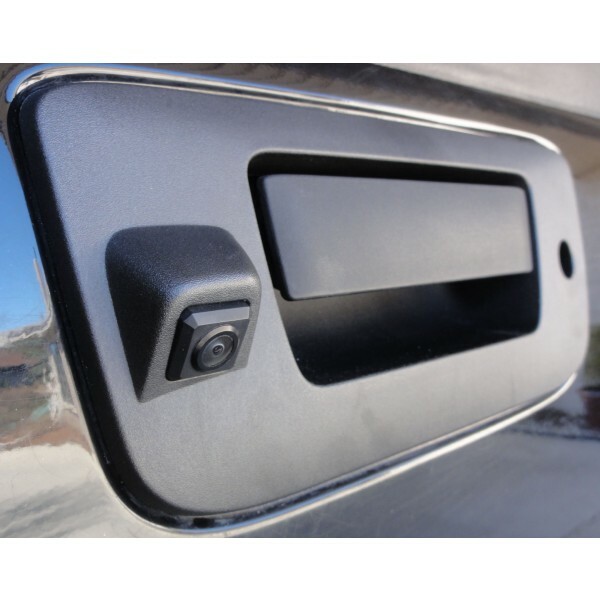 This kit can be installed in 2007-2014 Silverado and Sierra pickups. Yes. We carry cameras that mount on the liftgate of the GM SUV’s, that comes with guidelines and a much better sensor than factory that gives much better night vision and a much clearer picture than the factory camera. Yes, but the camera must be wired to ignition or accessory power. Factory cameras must be rewired to allow this operation. The camera operation is prioritized on boot up, so you should see the camera operation within a few seconds after a “cold start” when the vehicle is put into reverse. If you have tied the GM2007 into the factory camera’s output that is displayed in the mirror, the delay on the GM2007 will not affect the display on the mirror. I have factory parking sensors – are these retained with the GM2007? Yes. The GM2007 allows an audible warning just like factory. Yes. ADC Mobile has over 900 custom splash screens that allow each unit to be customized to the vehicle in which it’s installed. Yes. Almost any image can be used for a splash screen. Can I update the firmware in the GM2007 and is there a cost to do so? Firmware updates are always free. Firmware can always be reloaded to insure smooth operation or to fix miscellaneous issues. Does installing only the GM2007 improve the sound quality of the base non-amplified audio system? Absolutely! One little-know fact is that the factory GM systems are designed to reduce the bass output as the volume is increased, leading to reduced low end output at higher volume levels, ESPECIALLY in the base audio systems (non-Bose). The GM2007 has 45 watts per channel (45W x 4), and full output across the entire volume control, allowing much better low bass response at higher volume. Combined with a 9 Band EQ, time alignment and loudness control, installing the GM2007 will definitely give an improvement you can hear. Does installing only the GM2007 improve the sound quality of the factory Bose audio system? Absolutely! One little-know fact is that the factory GM systems are designed to reduce the bass output as the volume is increased, leading to reduced low end output at higher volume levels, and although this effect is not as apparent in the Bose audio system as it is in the base radio, it is still significant. The GM2007 has full output across the entire volume control, allowing much better low bass response at higher volume. Combined with a 9 Band EQ, time alignment and loudness control, installing the GM2007 will definitely give an improvement you can hear. Is it a good idea to upgrade my base radio speaker system when I install the GM2007? 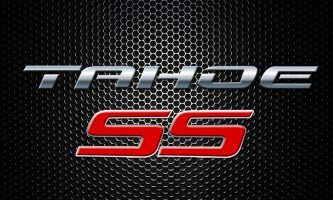 Subwoofer (either self-powered or with an additional amplifier, using the subwoofer output of the GM2007) – the biggest bang for the buck there is in car audio! 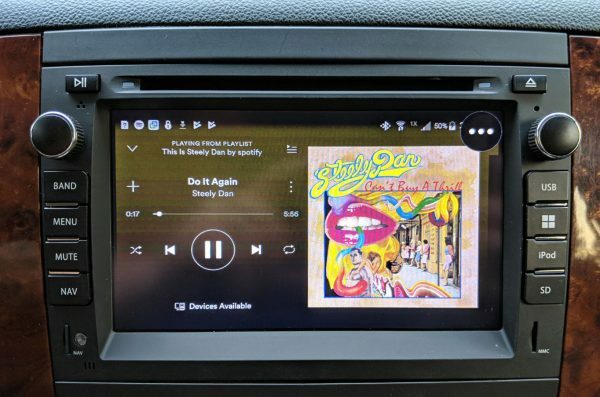 Unless you’re going to strip the entire Bose audio system from the vehicle (amplifier and all speakers), there’s not much you can do to improve the audio quality of the Bose system. The Bose system has speakers that are incompatible with most, if not all aftermarket replacements, so there’s not much out there to even attempt an upgrade with. There are some aftermarket sound processors that claim to improve the quality of the factory system, but we have yet to try them. Does the GM2007 have a hard drive like the 2012-2013 factory GM navigation system? No. It has no internal storage capabilities for music or video, but it does have the ability to add up to 128GB of storage on the SD card or USB inputs. Can I use the second Micro SD slot & USB to store music or movies? 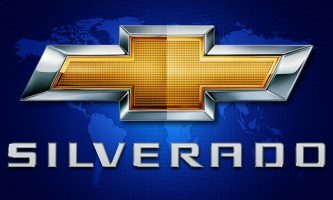 Does the GM2007 have an HD Radio tuner built in? Does the GM2007 support the RDS (Radio Data System) display technology? Yes. Just like the factory GM radio, the GM2007 has an RDS tuner which will allow full data display of song/artist/station data if the radio station you’re listening to transmits it. 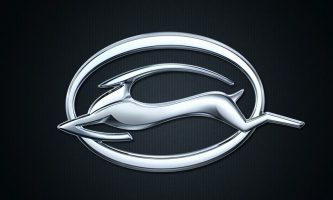 My vehicle came with factory XM – does the GM2007 retain it? Does the GM2007 require me to do anything to keep my XM subscription? Yes. If you added the SXV-300 tuner, you will need to read the radio ID number on channel 0 and report this to Sirius/XM to convert your subscription to the new tuner. No. 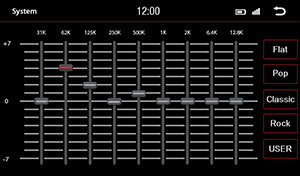 The GM2007 supports 15 AM, 15 FM and 15 XM presets, only accessible while in each source. 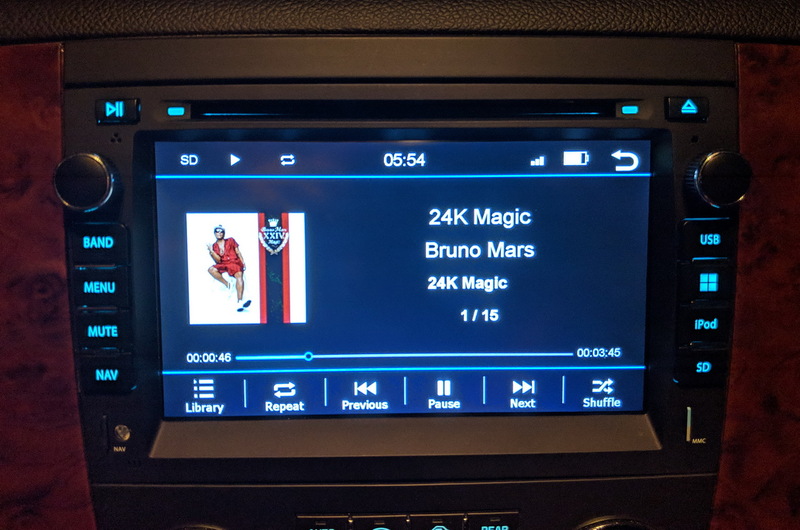 Can I add artwork to my radio preset buttons? Yes. Button artwork can be added to the radio presets. Read more here. View an example here. The SD card containing the artwork must be present in the radio in order for artwork to display. 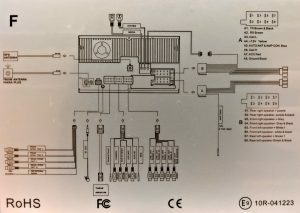 What kind of audio controls are available on the GM2007? It has a 9 band equalizer with built-in and user presets, a separate three band EQ (bass midrange and treble), as well as a loudness control, time alignment and front-rear and left-right fader and balance controls. If used with an outboard amplifiers for an optional subwoofer, there are subwoofer controls for output level. I have the factory rear entertainment screen – does the GM2007 retain it? Yes, with an additional adapter (not included). 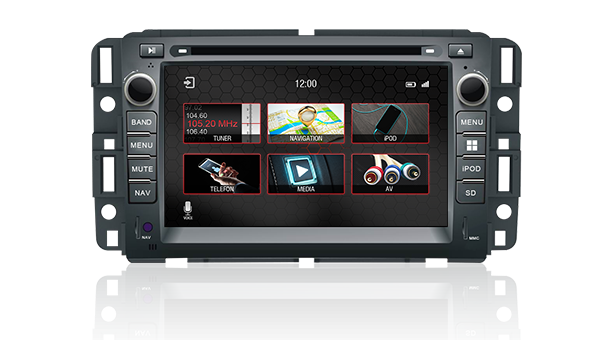 The only output sources that work with rear zone ar SD/USB/DVD/CD & AV input, and can be viewed in the rear while front seat passengers watch or listen to a different source. Can I play a different source on the GM2007 while the rear seat passengers are watching a DVD? Yes. With the “Rear Entertainment” Dual Zone controls, the rear seat passengers can watch a DVD while front seat passengers can enjoy any other source. Audio from the vehicle speakers will be the source that is being played up front, while DVD audio will be available on headphones for rear seat passengers. Will my factory rear seat console controls and factory remote control work with the GM2007? No. Neither the rear console controls or factory remote will work with the GM2007. 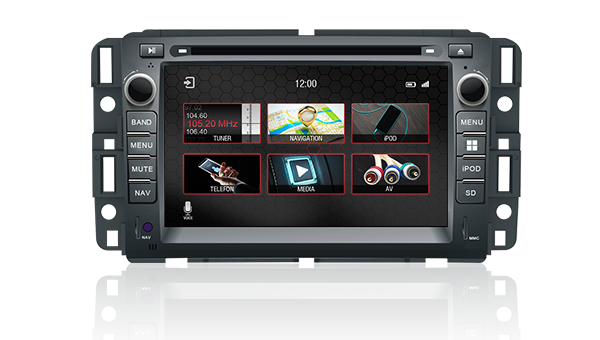 However, when the Rear Zone is activated, the rear screen will display video and you will hear audio from DVD, CD, USB and SD card sources.This means that front seat passengers will be able to watch or listen to a different source while the rear seat passengers watch video or listen to music from the DVD, CD, SB and SD card sources. 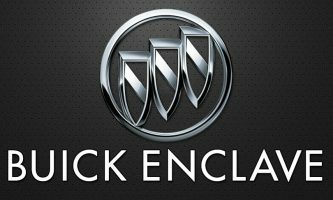 My vehicle doesn’t have the factory rear entertainment – can I add rear entertainment to the GM2007? Yes, the GM2007 has standard Red, White & Yellow female RCA outputs for connection to any aftermarket rear entertainment overhead or headrest monitor(s) and when the Rear Zone feature is activated, front seat passengers will be able to watch or listen to a different source while the rear seat passengers watch video or listen to music from the DVD, CD, SB and SD card sources. My vehicle came with a factory USB input – can I still use it with the GM2007? Yes, but you will need to use an adapter (not included) that converts the cable at the rear of the factory radio from “mini-USB” male to “standard USB” male in order to maintain the factory port. The second USB jack can also be used to accept any USB accessory and can also be run to any area of the vehicle with the appropriate harnesses. What if my vehicle didn’t come with a factory USB port? 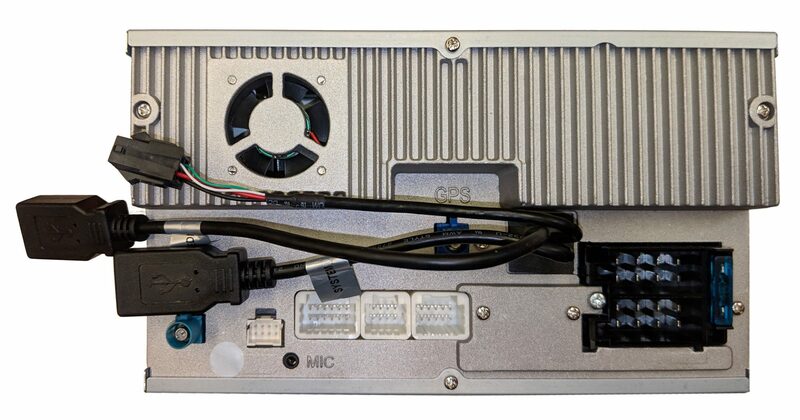 The GM2007 comes with two female USB inputs that can be routed into the glove box or under the dashboard, but if you want to add a factory style USB port, you can purchase the GM USB port and swap out a power port. There are also USB extension cables available to allow center console glove box installations. I have an Android phone – is there a cable that allows audio and video playback on the GM2007? Yes. Using the Android mirroring function, Android phones running Android 8 or lower can be mirrored to the radio and can run YouTube or local video files. For other apps that are not allowed by the app maker to output video through USB, our optional HDMI-AV cable allows you to convert a compatible phone’s video output to be used on the GM2007. 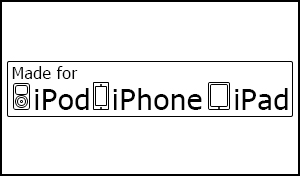 I have an iPod/iPhone – is it compatible with the GM2007? The GM2007 is fully “Apple-certified” and allows full album art, artist & song data, as well as full control of audio and video playback on all late model iPods and iPhones. Some prior versions of the iPod are not fully compatible with the GM2007. Yes. 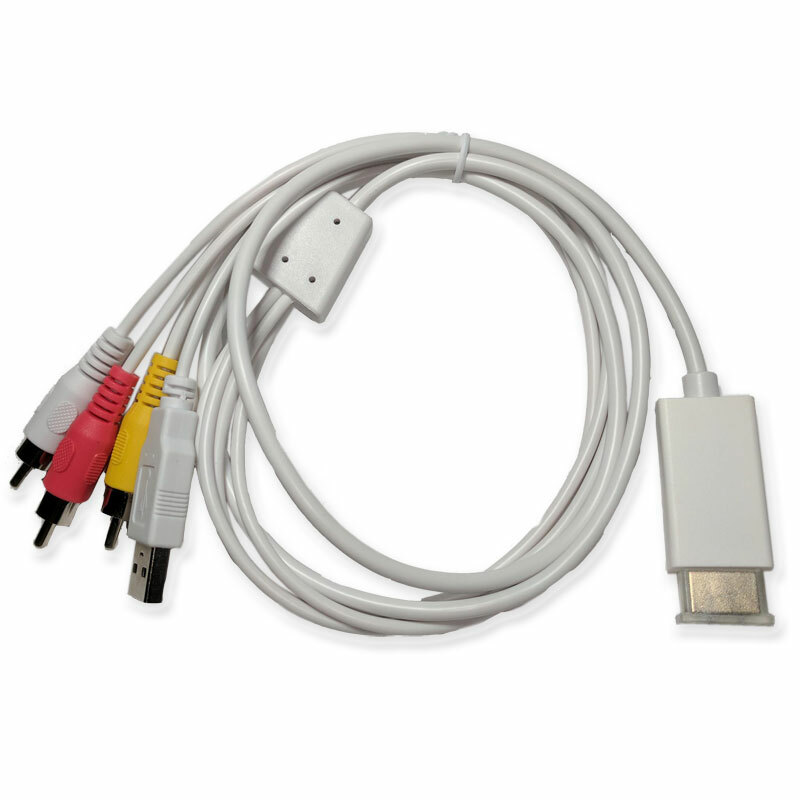 Our optional HDMI-AV cable allows you to convert the phone’s video output to be used on the GM2007. I store music and movies on my USB stick – can I play these back via the USB input? Is the GM2007 capable of playing DVD’s if I don’t have a rear entertainment screen? Yes, DVD playback on the GM2007’s screen is possible when stopped. It supports 16:9 and 4:3 viewing modes. It comes factory set to play DVD Region 1 (North America) discs only. I want to allow my passenger to watch DVD on the GM2007 while driving – is this possible? Yes. There is a “Parking Brake” menu item that will allow video in motion. How many CD or DVD discs is the GM2007 capable of loading at once? Yes. The GM2007 supports CD audio discs and displays the type of disc currently inserted, title number, track number, elapsed time, file, folder, and stop/play/pause status information. It also allows shuffle, repeat and direct access to audio files on CD discs. I want to add an amplifier and subwoofer to my system – can I do this with the GM2007? Yes, the GM2007 comes with four channel RCA outputs for adding a standard four channel amplifier, as well as a subwoofer output with full subwoofer crossover and level controls accessible from the audio menu. Outputs are rated at 4 volts. I have factory Bluetooth – does the GM2007’s Bluetooth system replace it? No. 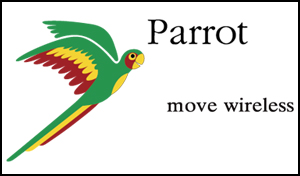 The Parrot Bluetooth system in the GM2007 functions in addition to the factory Bluetooth. You can choose which system to use at any time, or pair different phones (his/hers) to each system. Can I use my steering wheel control for the GM2007’s Bluetooth hands-free system? Yes, and it will also trigger Siri or Google Assistant on compatible phones. Can I use the factory Bluetooth microphone for the GM2007’s Bluetooth hands-free system? No. The Dynavin uses an external, wired microphone so the factory mic cannot be used. Does the Dynavin support voice dialing via Bluetooth? The Dynavin system accesses the voice dialing capabilities of your phone (Siri or Google Assistant), so as long as your phone supports voice dialing, that function will be available when using the Bluetooth system on the GM2007. How many Bluetooth devices can be paired to the GM2007? 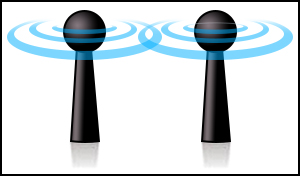 The GM2007 can accept up to two devices and any device can be chosen to connect to the GM2007 at any time via the menu. Can the GM2007 download the contacts from my phone? Yes. The GM2007 can download up to 2000 contacts from any phone and allows alphabetical access to those contacts via the menu. NOTE: not all phones allow contact download via Bluetooth. Does the GM2007 support Bluetooth Audio Streaming (A2DP)? Yes. You can stream music to the GM2007 from any source via A2DP protocol, including music contained on the device or any streaming audio source available on the device. Song title, Artist and Album data are also transmitted (if available). Bluetooth provides an Advanced Audio Distribution Profile (A2DP) profile for streaming music from a wireless phone or a Portable Multimedia Player (PMP), sometimes referred to as a MP3 player. The unit allows you to play back audio files from your wireless phone or a PMP using a Bluetooth connection. The unit can control a Bluetooth audio player via Audio/Video Remote Control Profile (AVRCP). Bluetooth audio players (or Bluetooth adapters) compatible with these profiles can be connected to this unit. Functionality varies depending on the profile used.•A2DP: Stream audio from your Bluetooth compatible audio player and listen to the music through the unit.•AVRCP: Play back, pause, select songs, etc. while streaming audio from your Bluetooth compatible audio player to the unit.NOTE: Song information (e.g. elapsed playing time, song title, song index, etc.) can be displayed on this unit if it is available. Bluetooth apps vary greatly. Please refer to the manual that came with your Bluetooth audio player app. Can I play music via Bluetooth from my phone and from streaming sources like Spotify, Pandora and iHeart Radio? Since the GM2007 has A2DP Bluetooth Audio Streaming capability, it will support any audio streaming source via Bluetooth. 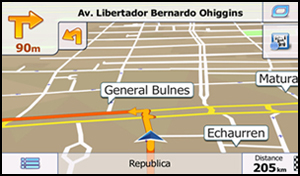 What navigation software is included with the GM2007? 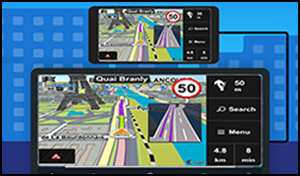 The GM2007 ships with iGo Primo navigation software, which in our opinion is the most capable, most customizable and most informative navigation software currently available from any manufacturer, OEM or aftermarket. iGo Primo allows more data to be displayed than any other system, in more ways, with more clarity and more options and has proven to be extremely reliable and informative. Can I update the maps in the GM2007, and what’s the cost? The map updates are downloaded online to a USB device you provide. Dynavin’s FREE “Latest Map Guarantee” insures you’ll have the most current maps loaded in your unit – within 30 days of purchase, log in and download the “NaviExtras Toolbox” from www.naviextras.com and it will automatically update your map database if required. Subsequent updates will be available at additional cost. Spoken commands are available in English, Spanish and French. Program languages are Dansk, Deutch, English (UK), English (US), Espanol, Espanol (MX), Francais (CA), Italiano, Nederlands, Norsk, Portuguese, Portuguese (BR). FAST: Gives a quick route if you can travel at or near the speed limit on all roads. 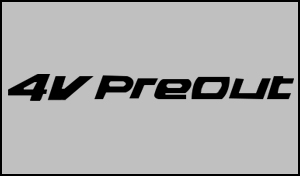 Usually the best selection for fast and normal cars.SHORT: Gives a short route to minimize the distance to travel.Usually practical for pedestrians, cyclists or slow vehicles. Searching for a short route regardless of the speed, this route type is rarely practical for normal vehicles.GREEN: Gives a quick but fuel efficient route based on the fuel consumption data given in Green Routing settings. Travel cost and CO2 emission calculations are estimations only. They cannot take elevations, curves and traffic conditions into account.EASY: Results in a route with fewer turns and no difficult maneuvers. With this option, you can make iGo Primo take, for example, the freeway instead of a series of smaller roads or streets. Is there any way to add live traffic display to the GM2007? No. There is no capability to add live traffic other than to purchase the optional HDMI-AV cable and display your phone’s live maps. Yes. The iGo Primo system can generate and save your trip logs that provide a wealth of data, such as tracks of your trip that can overlaid on the map, time-speed-altitude graphs and other information that may then be converted with different tools allowing it to be utilized in Google Maps or in Google Earth. The N7-GM2007 has the ability to customize the opening “splash screen” to your choice of any graphic. Every unit we ship is tested on our bench and has a custom splash screen installed from over 600 available in our library. 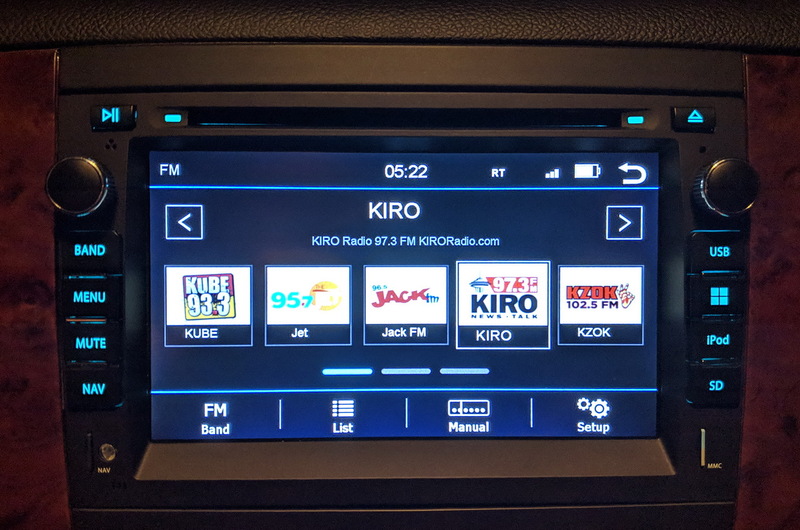 You can check out all of them here and if you let us know which screen you like, that will be what you see when you fire it up in your vehicle! 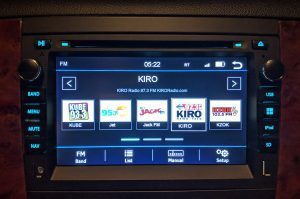 We also love doing custom graphics, so if you don’t see something you like, let us know and we can use your own file to genuinely customize the experience, making your radio unique. Our aim is to answer all of your questions in advance so your purchase and installation goes as smooth as possible. Please call 253-297-4570 if you have any questions about the products you are considering before your purchase or for support after your purchase, and we will be happy to help! 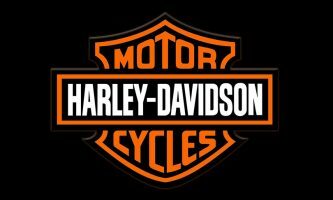 Please also take time to visit our POLICIES PAGE for more information and to review our policies regarding your purchase.